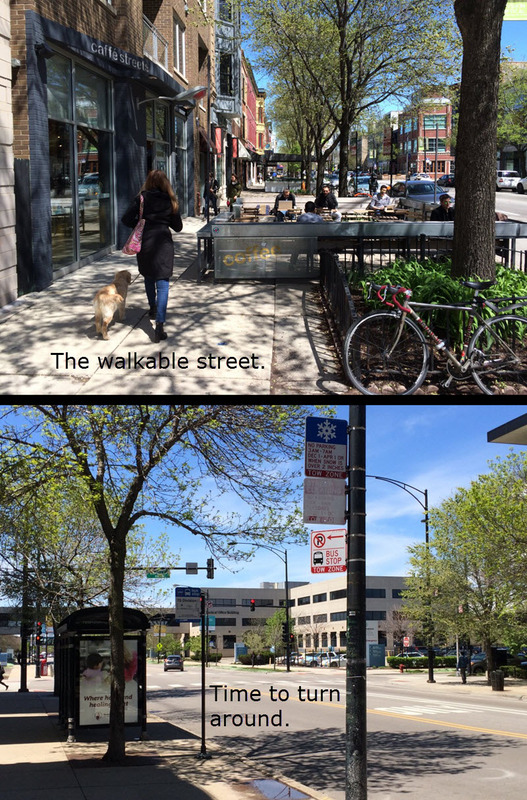 Walkability is something we understand in our bones. If you feel comfortable and happy on foot, congratulations! You’ve just discovered a walkable place. The same is true of places that are hostile or unwelcoming to pedestrians: we respond instinctively and are physically repelled by these places. If you’ve ever been walking down a lively street, but stopped and turned around when you came to a blank wall, a drive-thru, a parking lot or other dead spaces, then you’ve experienced it too.